If your locked out or have a broken Euro Lock on your Upvc door. We are trained in non-destructive entry, and we can gain access to your locked property. We can replace or repair your broken euro locks. 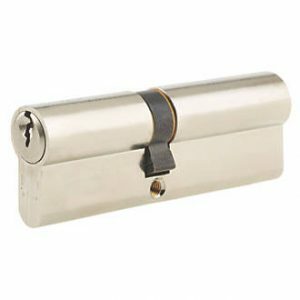 This is a picture of a Euro Cylinder Lock, and a euro cylinder thumbturn more commonly referred to as a Euro lock. This double sided Euro lock, would typically be found in a Upvc door. 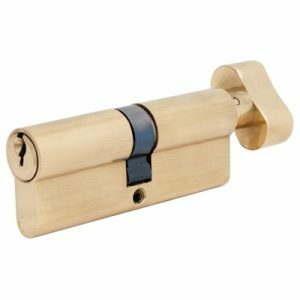 There are lots of manufactures including Yale and they are Extremely common in the UK, and when fitted correctly are very effective, as they are part of a multi-point locking mechanism, and meet all insurance minimum standards. This Thumbturn Euro lock, would again, be typically be found in a Upvc door. And are often found in Flats, offices and other types of multiple occupied, properties and premises in the UK. When fitted correctly they are very effective, as they are part of a multi-point locking mechanism, and meet all insurance minimum standards. European profile (or Euro profile) is a type of cylinder design predominately used in Europe. Unlike traditional mortise and rim cylinders, the Euro profile uses a single piece of metal to connect both sides of the lock. A single cam component is placed between the two sides of the lock and is directly connected to both plugs. The Euro profile is convenient to install and easy to replace.